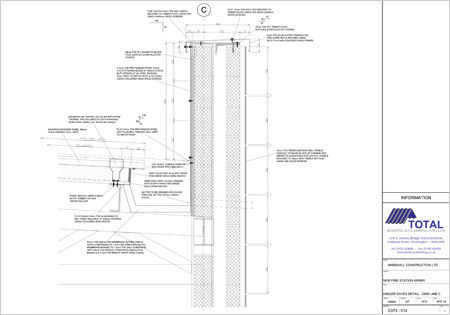 Total offer a complete design service with all drawings and details being submitted prior to installation. Our draughtsmen are able to help with the design of all buildings and can also assist in keeping projects within budget by offering alternative products or details. 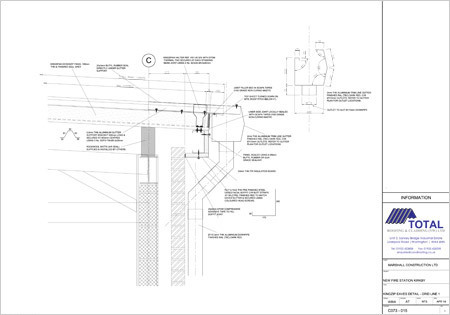 All these details/drawings are produced by our specialist draughtsmen in CAD format. Full site surveys can be carried out on existing buildings with roof reports along with drawings being compiled from site dimensions. Total are specialised in fitting all types of roof cladding including composite panels, standing seam roofing and built-up roof cladding. Insulated composite roof panels offer the luxury of being able to fit roofs quickly and efficiently when speed of installation is of major priority. Composite Panels also provide excellent air tightness and consistent insulation throughout the roof. Standing seam roofs are able to low pitched roofs down to 1 degrees. Euroclad, Rigidal & Speeddeck provide standing seam systems installed by Total. These systems are secret fixed which allow them to be installed at such low pitches. Over-cladding of existing roofs is a cost efficient way of re-roofing which not only will waterproof the roof but will also provide a more aesthetic appearance. Total are also specialised in all types of wall cladding such as composite panels, rainscreens, and facade systems from all the leading suppliers. Insulated composite wall panels offer the luxury of being able to fit wall cladding quickly and efficiently when speed of installation is of major priority. Kingspan offer a number of different wall panels which will enhance any building envelope. Flat panels are available in a wide range of colours, thickness and modular sizes. A number of buildings are now fitted with numerous rainscreen systems providing architects and building owners to make their projects/buildings modern and bright. Total install many different types of rainscreen systems such as Rockclad, Trespa, Eternit, Alucobond and Kingspan Benchmark systems. 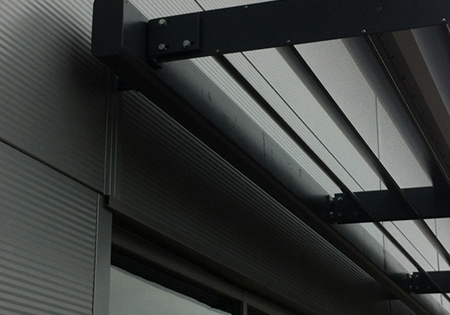 Total can design and install many types of Brise Soleil sun shading which not only provide a comfortable internal environment they will also enhance the exterior of any building. 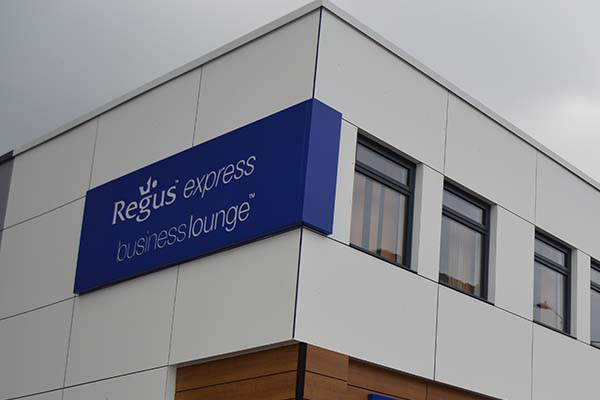 Our Brise Soleil are constructed of PPC aluminium and are individually designed for each building. They can be fitted to both new and existing buildings to customers requirements. Total are able to offer a complete building envelope refurbishment and repair service carrying out works such as over-cladding existing roofs, over-cladding and updating existing walls enhancing our clients buildings with a more modern appearance. Replacing existing rooflights can make buildings lighter and brighter and provide cost savings by reducing the amount of powered lighting required in industrial warehouses and units. Gutters can be refurbished in numerous ways to eradicate leaking joints. A PVC gutterliner can be installed without the need to remove existing gutters or roofs. They offer a simple cost efficient way of overlaying the existing gutter and alleviating all gutter leaks in one simple solution. Over-cladding of existing roofs is a cost efficient way of re-roofing which not only will waterproof the roof but will also provide a more aesthetic appearance. This is an attractive option to clients who are unable to cease activities whilst work is being carried out and will keep the building as watertight as possible during works being carried out. A large cost of re-roofing buildings comes from the removal and disposal of the existing roof and over-cladding removes this expenditure. Buildings that look tired and dated can be re-clad or over clad with numerous systems such as Kingspan Composite Panels, Rainscreens and trapezoidal cladding systems.